The animals have definitely noticed the welcome mat he has extended. The garden is simply the native landscape enhanced and retains the memory of days when Roosevelt elk and grizzly bears freely roamed the area. 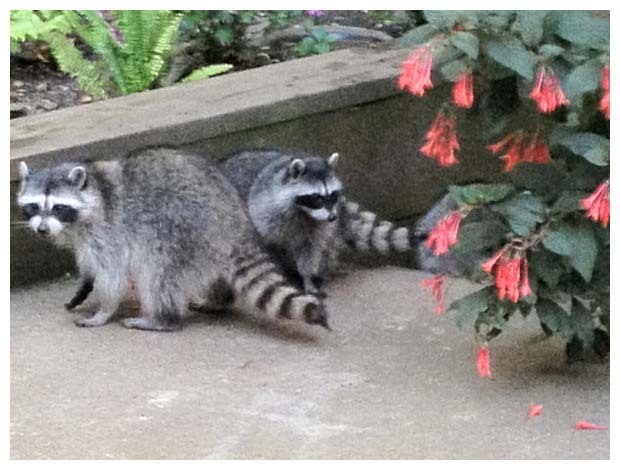 Native wildlife—albeit smaller than the historical mega-fauna—still flock to his mini-backyard nature reserve. 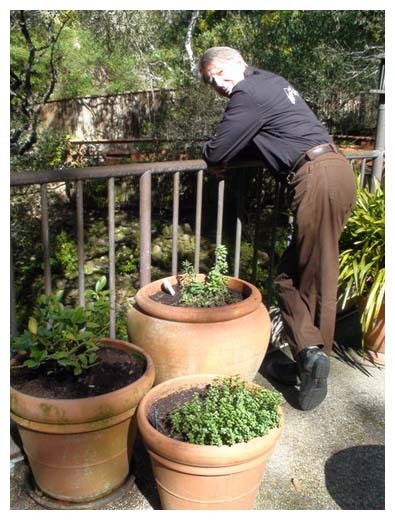 Peter also supplements the native plants with bird feeders. The well stocked stash of sunflower seeds entice the titmice and juncos to visit, while goldfinches feed on his offerings of gourmet thistle. 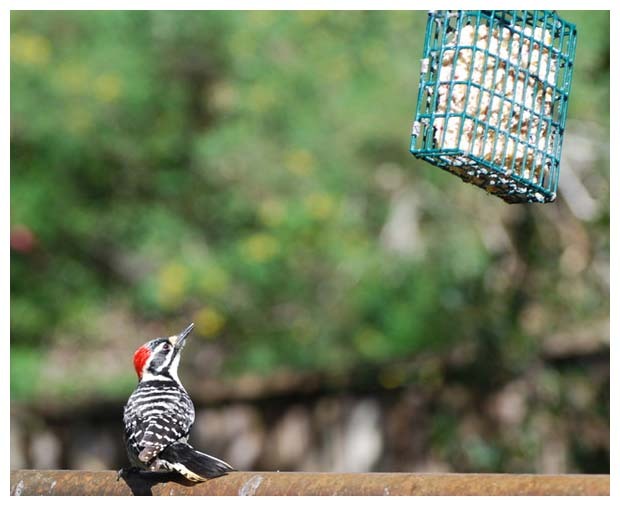 While we ate lunch on his deck, a Nutall’s woodpecker eyed the suet. Small mammals also make frequent appearances. 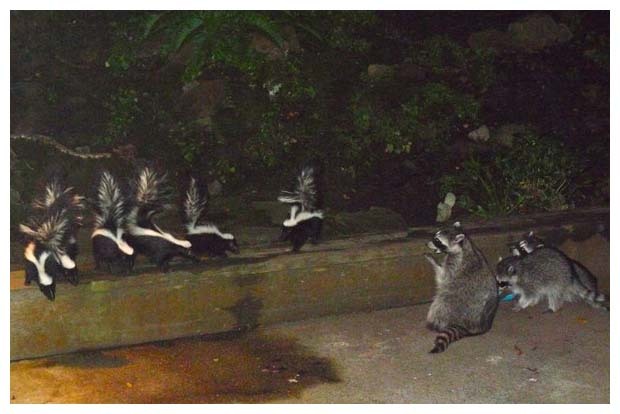 He’s witnessed raccoon and skunk families on parade in his yard (sometimes at the same time), and one raccoon, named Monica, has raised her young in his garden for four years. 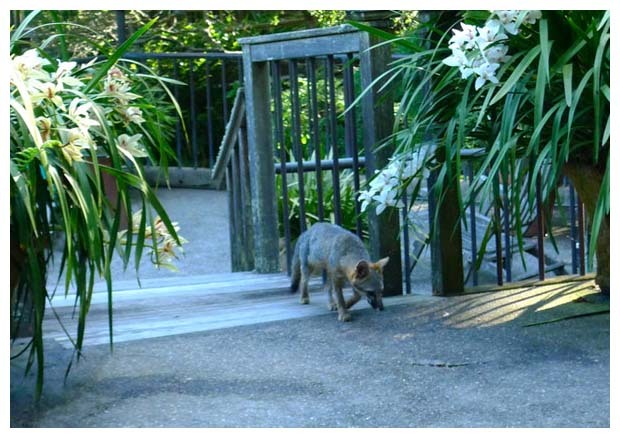 A gray fox has become a regular resident—he once watched her, along with her three kits, drink from a clay water bowl on his deck. This week Peter was in Vevey, Switzerland, participating in a film called "La rançon de la gloire", directed by Xavier Beauvois. It's the story of two small-time criminals who plan to steal the coffin of Charlie Chaplin. The film is co-produced by Rita Productions in Geneva. Shooting, which will wrap up by May 15th, will take place almost entirely in the Eastern Vaud. 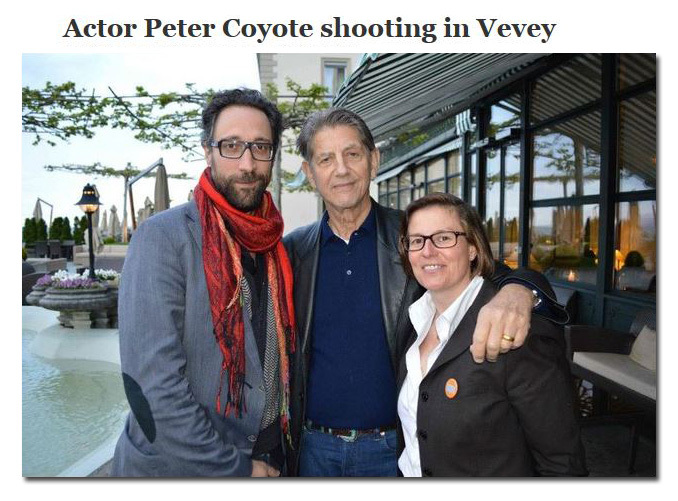 In the above photo, Peter poses with municipal Elina Leimgruber and culture delegate Stefano Stoll on the terrace of the Three Crowns Hotel in Vevey. 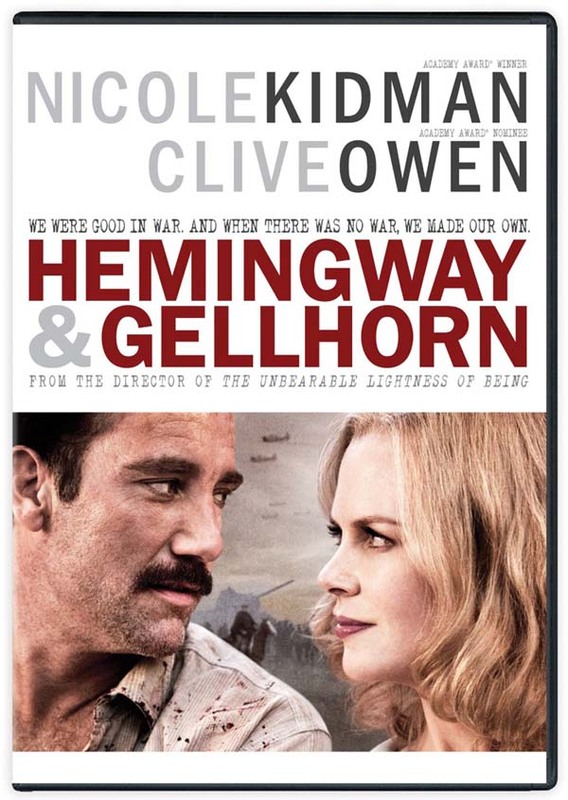 If you missed HBO's HEMINGWAY & GELLHORN last year, it is now available on DVD. The film, directed by Philip Kaufman, recounts the passionate and troubled marriage of literary master Ernest Hemingway (Clive Owen) and the up-and-coming war correspondent Martha Gellhorn (Nicole Kidman), the second of Hemingway's four wives. Their tumultuous relationship began when they met at a local Key West bar in 1936. They married in 1940 after romancing in Europe while Hemingway wrote his famous novel "For Whom The Bell Tolls" for which she was the inspiration. The film follows their epic romance through seven countries - from the Spanish Civil War and beyond. As she grew in reputation and stature, the spirited Gellhorn stood toe-to-toe with Hemingway, putting his famous bravado and iconic style to the test. Peter has the role of literary editor Maxwell Perkins. As mentioned in the last update, Peter was feted in absentia at the American Film Festival. He received the "Making a Difference, One Film at a Time" award for his contributions to documentary film. Festival director Teddy Grouya said, "Peter, of course, thought it was a unique award and was extremely flattered, especially that we are acknowledging him specifically within this genre. 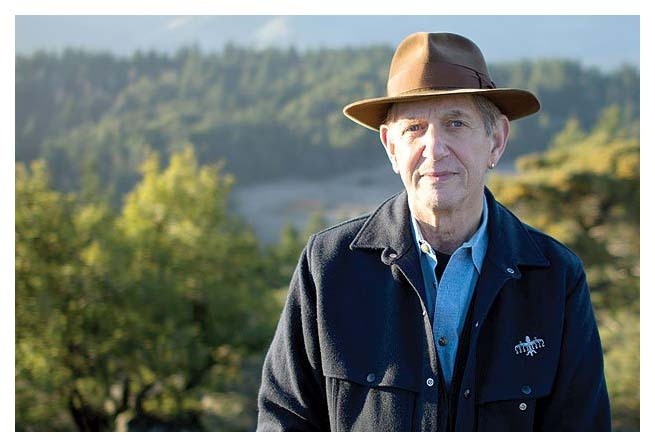 In this genre, Peter Coyote tops them all!" Check out this link to see a video of Peter accepting the award.